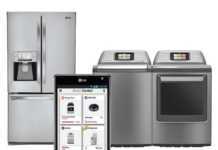 Haier, the global leader in Home Appliances & Consumer Electronics has launched the all-new range of Bottom Mounted, Top Mounted and Direct Cool refrigerators just before the festive season starts. The Bottom & Top Mounted Refrigerators are available in the all-new Spiral Glass finish, while the Direct Cool Refrigerators are available in both Spiral & Wave Glass styles. The innovative Bottom Mounted Refrigerators (BMR) line-up consists of four models i.e. 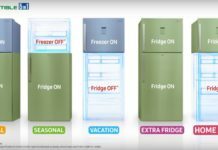 HRB-2764PSG-E, HRB-2964PSG-E, HRB-3404PSG-E and HRB-3654PSG-E. All these refrigerators from Haier are specifically designed based on daily usage habits. 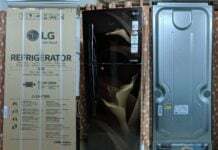 The freezer section is mounted at the bottom and refrigerator section is at the top, which the brand claims to help in a 90% reduction in bending compared to conventional refrigerators. 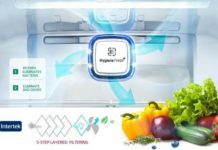 Also, these models are convertible in nature so users can convert the freezer portion into a fridge or back to a freezer within a time span of just 50 minutes. These models have a capacity starting at 256 litres going up to 345 litres. There is twin inverter technology for better cooling efficiency, turbo icing technology which makes ice in just 49 minutes. Haier will also provide a warranty of 10 years on the compressor as well as the fan motor on premium models. 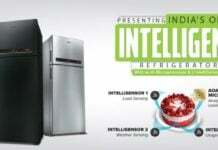 Haier has launched two Top Mounted Refrigerators i.e. HRF-2784PSG-E and HRF-2984PSG-E. These are great for those consumers who are looking for a compact yet powerful refrigeration solution. 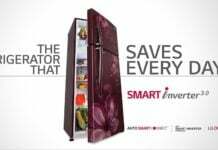 Its heavy duty twin inverter compressor allows users to convert the freezer into a fridge and back to a freezer with five convertible options within 50 minutes. The lineup features energy saving and retention modes, and the lineup also comes with turbo icing feature just like the Top Mounted Refrigerators from Haier. There are 8 models in the Direct Cool Refrigerator lineup i.e. HRD-1955CSG-E, HRD-1955CWG-E, HRD-1955PSG-E, HRD-1955PWG, HRD-2204CSG-E, HRD-2204CWG-E, HRD-2204PSG-E and HRD-2204PWG-E. 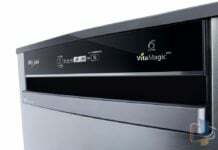 These models are armed with superior features and provides faster cooling. 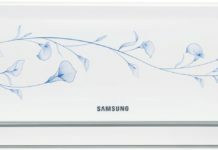 However, these refrigerators consume less power at 128 units for 5 stars and 168 for 4 stars respectively. The all new range of Bottom Mounted, Top Mounted and Direct Cool refrigerators are available for purchase and are priced as follow.